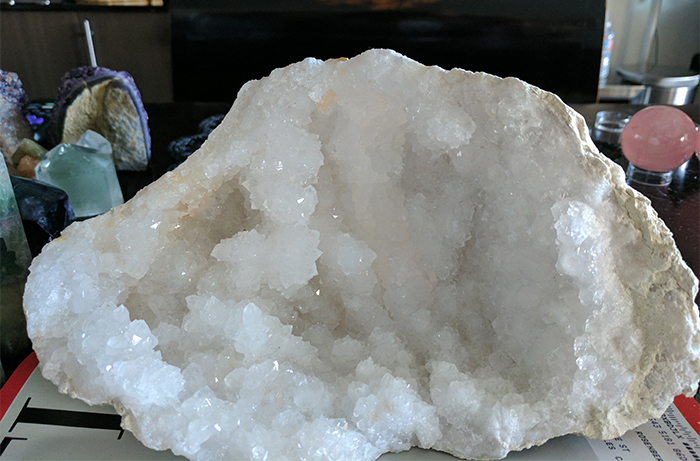 QUARTZ GEODES are sparkly clusters of vibrant energy. When quartz comes in geodes, they are like shields of positive energy. Place in your entry or office to boost the vibes. Use to focus and help set realistic goals. It is also an excellent tool for meditation. 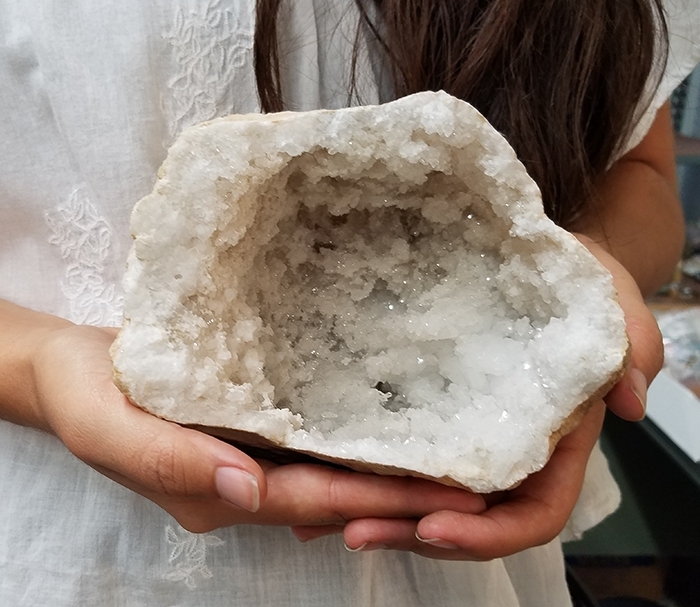 Clear quartz should be in every crystal collection. They are called the "stone of power" because they harmonize and align energy. 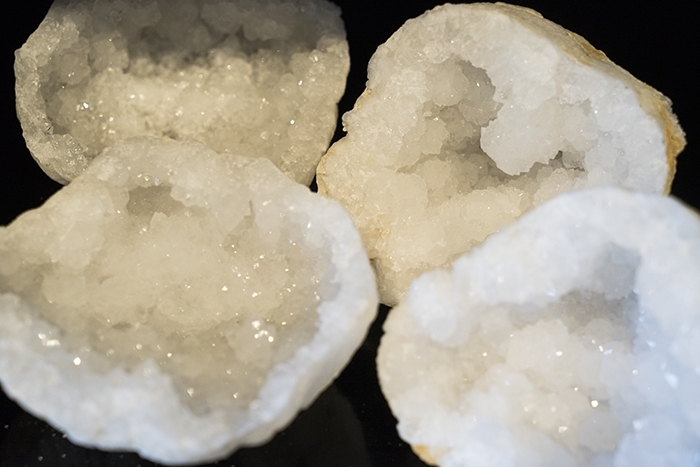 Quartz was used in ancient civilizations like Atlantis and Lemuria. My suggestion is to place in your living room or kitchen at home to vibrate loving energy. Also, at the office and common areas for communication and bringing groups together. 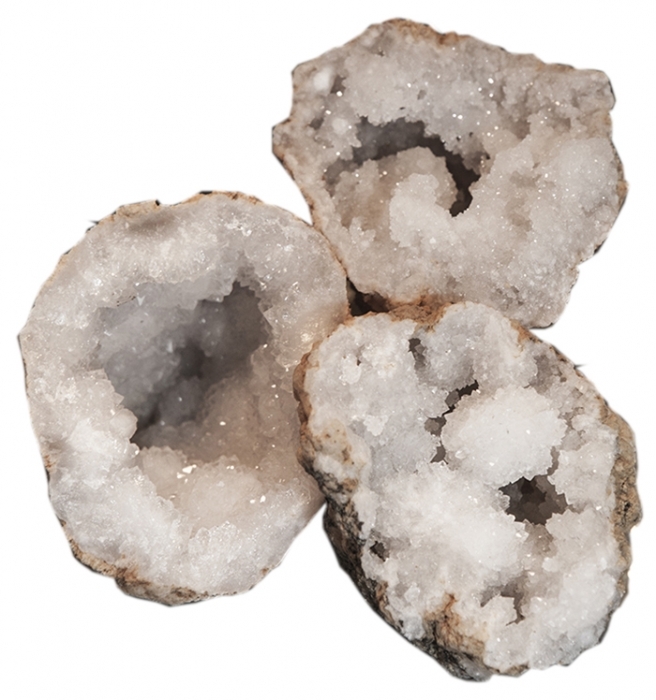 Quartz Geodes are powerful in any space to stir up stuck energy - great for entryways, living rooms, kitchens or offices.